Teams have formed for the Spring season. Registration is now closed. The most comprehensive goaltending clinics available on the North Shore, led by director Grant Paulsen with Wendell Young's Rick Carlson, Director Bill Norberg and Ben Siegel. It's called the best night of spring hockey....levels divided by 6 teams, 5 games and one hockey blast with team coaches, awards and great competition. 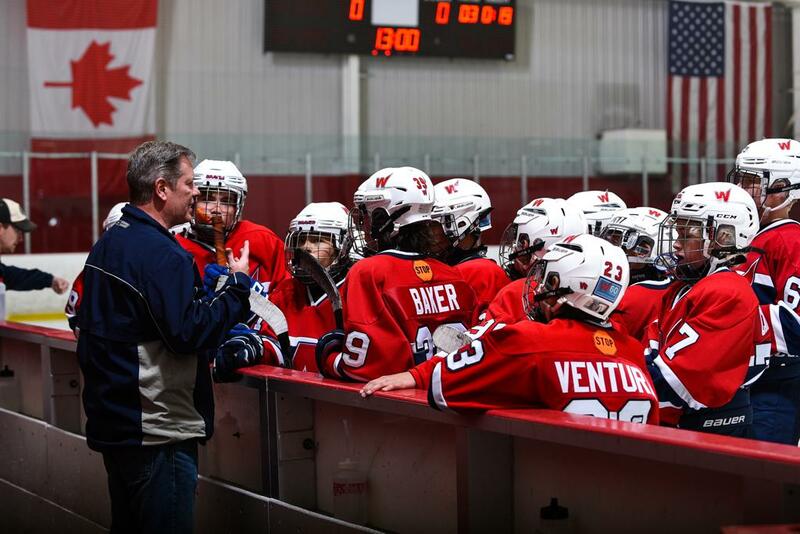 Authentic skills from Brian Keane -- the WHA Skills Director, Prodigy Hockey Director and former Blackhawk Jeremy Morine as well as other professional hockey coaches with support from WHA team coaches. Each week, one team is extracted from SQ & PW skills and 3 v 3 to do independent skill development at either Centennial Studio or NSIA full ice. These players will work with Wilmette Braves coach Anthony Booth. Teams will participate in 4 NSYHL games against other north shore teams. Tuesday 3 v 3 and Wed skills are always at Centennial Ice Arena at the same time each week, this makes it easy to plan other activities around Spring Hockey. Led by Coach Nicholas Ponce De Leon, Wilmette Girls Hockey is the fastest growing Girl's Hockey program in the state with teams at four levels. Join our program and find out why! Learn more about the Girls SPRING Program here. Team practices will begin on 3/19. No practices during D39 spring break. Rink locations will vary between Centennial and NSIA. Once teams are assigned, rink locations will appear on team pages. Note: For Squirts and Pee Wees a team practice will be worked into the schedule on either Monday/ Thur night every 'rotation' (approximately 4 weeks). Please check the Calendar for any updates to the time and schedule. Use the tag "home". If you have any questions, please email our Travel Director - Bill Cannon at whatraveldirector@gmail.com. WHA Team tryout declarations (i.e. your child is only trying out for the first “AA” team and would decline a position on the second “A” team) are reviewed and approved by club Directors. If you would like to make a declaration for your child, please submit this form. An acknowledgement will be sent once the deceleration is accepted. In order to preserve an unbiased Try Out system, team declarations are strictly confidential. Do not share this information with any WHA Club members, parents or team coaches. Failure to abide by this confidentiality agreement will result in a forfeit of the policy benefits and no refund. If notification is properly received and player is not placed on desired team, player will be assessed the tryout/conditioning fee and the 7.5% transaction fee only.